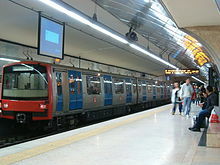 The system after the reintroduction of tram line 24. Urban tramways: (mule-drawn) 17 Nov. 1873 - 10 Aug. 1902; (steam): 1889 - ? ; (electric): 31 Aug. 1901 - today. Metropolitan lines: 29 Dec. 1959 - today. 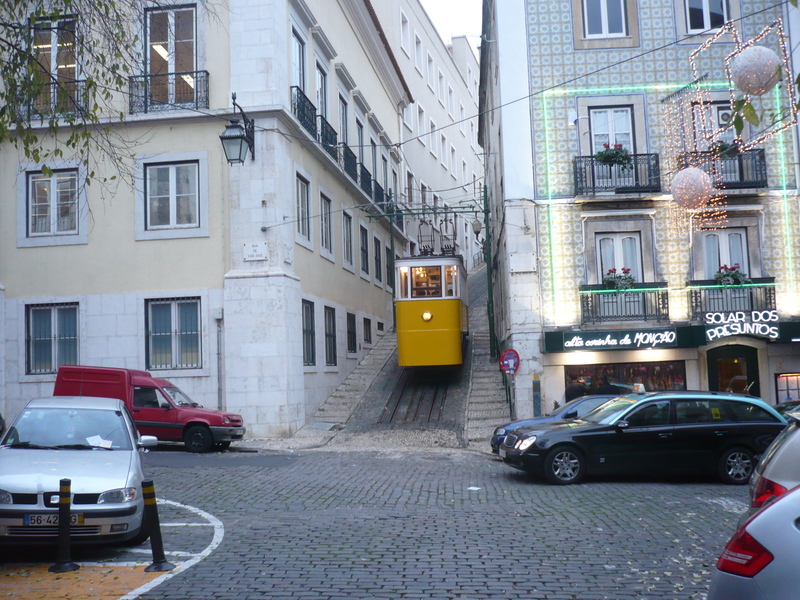 Funiculars: (hydraulic) 19 Apr. 1884 - 1914 ; (steam) 28 June 1892 - 1914; (electric) 1914 - today. Urban tramways : 900 mm. Dias, M.T. 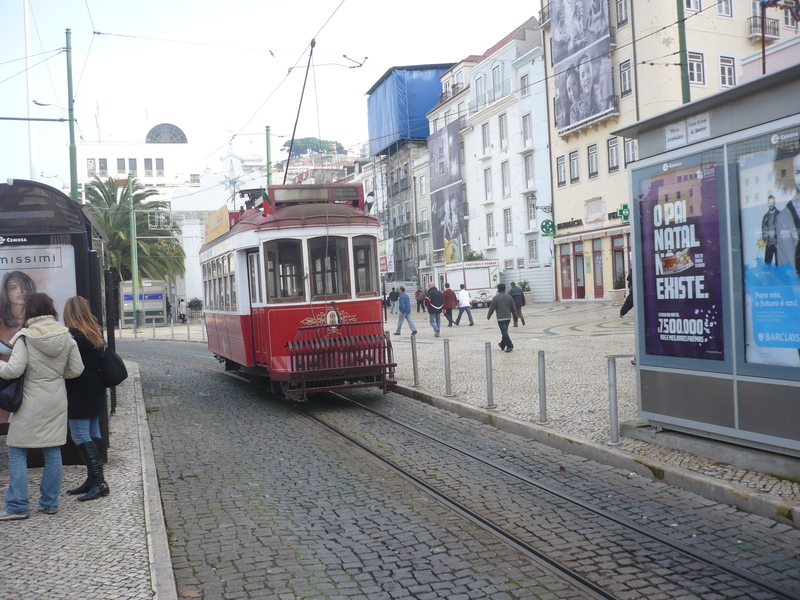 História do Eléctrico da Carris - The history of the Lisbon trams. Lisboa: Quimera, 2nd ed., 2005. McLoughlin, I. 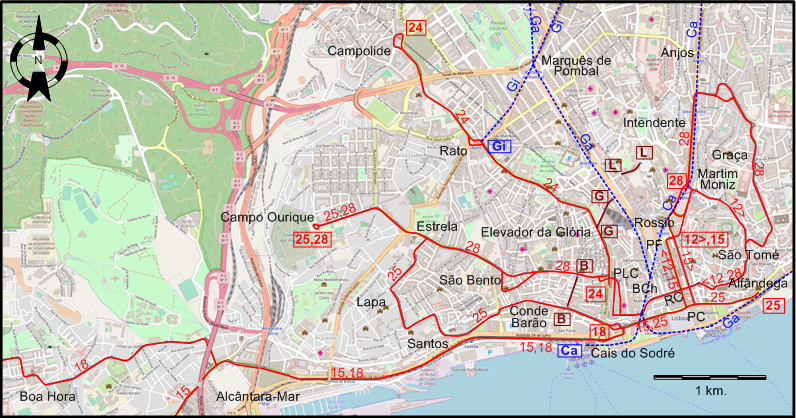 "Lisbon tramways - June 1986" [Map], Modern Tramway & Light Rail Transit, Oct. 1987 (50: 598), p.354. King, B.R. & Price, J.H. 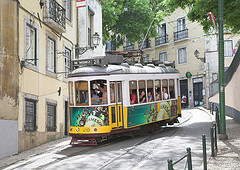 The tramways of Portugal - A visitor's guide. Broxbourne [England]: Light Rail Transit Association, 3rd ed., 1983. Price, J.H. "The tramways of Portugal: 1964-1968", Modern Tramway, Aug. 1968 (31: 368), p.271-278. 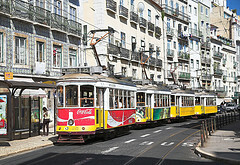 Pulling, N. "Light rail diversity in Lisbon", Tramways & Urban Transit, Oct. 2011 (74: 886), p.386-390. Wansbeek, C.J. 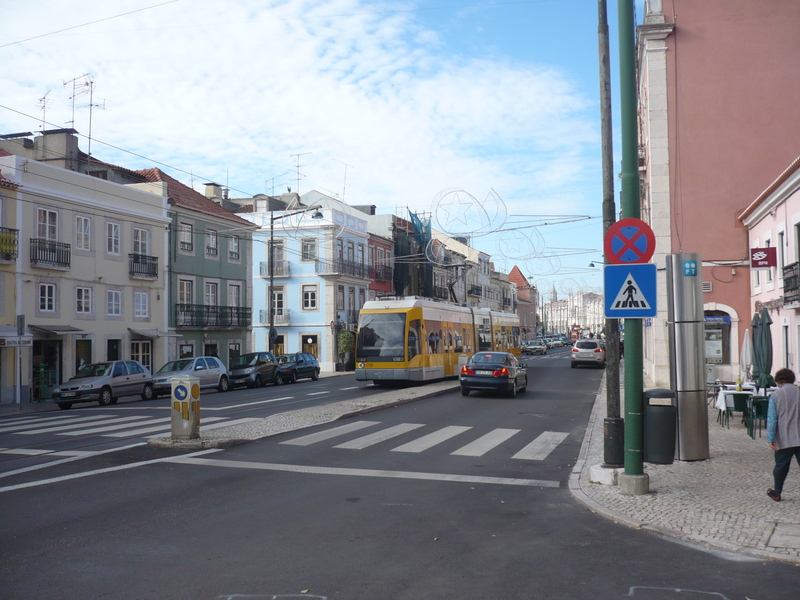 "Lisboa: Old trams out, new lines in", Tramways & Urban Transit, May 2001 (64: 761), p.172-175.